Without question, videoke is one of Filipino’s favorite pastimes. Whether we hit the high notes or not, we have a good time following the lyrics to our favorite songs. That being said, Sharp Philippines is giving you a way to enjoy this activity at home with the Sharp Active Multimedia (SAMM) System. You need not rent a videoke machine or go to KTVs to sing to your favorite tunes with the SAMM. You can even invite your friends as you go through the 1,200-song selection that this entertainment system offers. Fancy a duet? It is also possible thanks to the two microphone jacks. With a three-way speaker system, you can hear the highest trebles to the lowest bass in all clarity. Likewise, you won’t mess up the lyrics because the LED monitor will vividly display it with music videos. 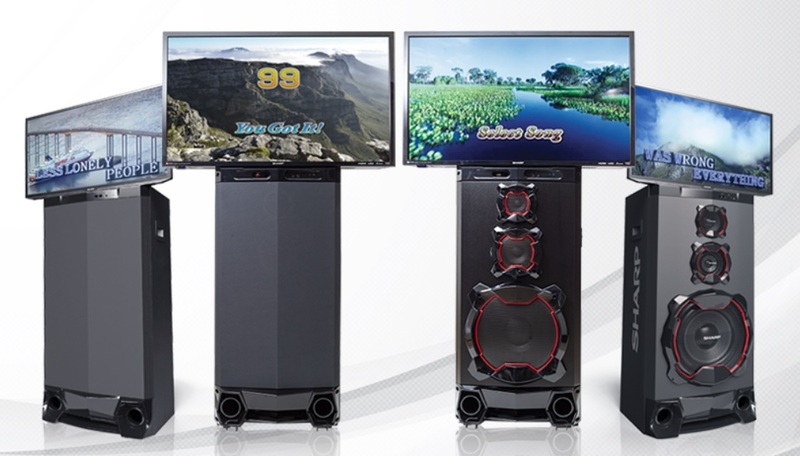 The Sharp Active Multimedia System is more than just a videoke machine though, it is also great for watching TV shows. But not only that, with its USB port, you can view images, listen to music, and watch movies as well. Furthermore, you can also take advantage of its HDMI port, for a more input and output options. Paano po umorder ng usb kasi 1k+ lang yung kanta.. Gusto po sana namin maraming kanta ..